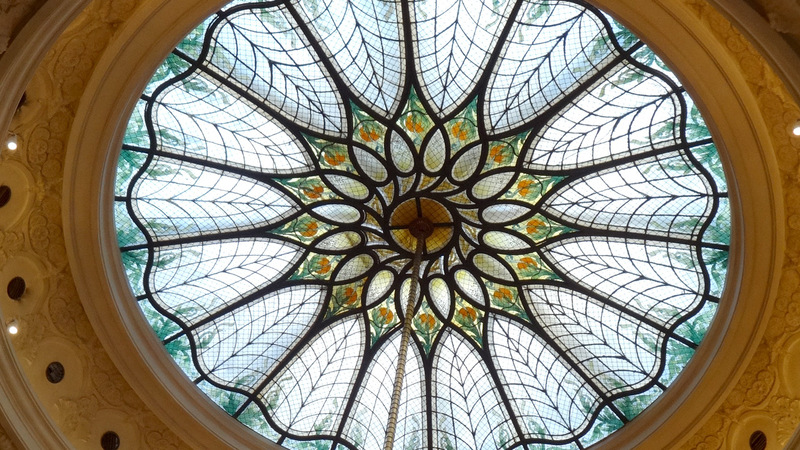 A prestigious luxury hotel in the style of the Belle Epoque, the Hôtel de Paris is located in the heart of Monaco. 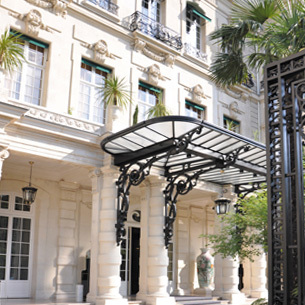 An icon of the Principality, this luxurious hotel is adjacent to the Casino, the Café de Paris and the Jardins des Boulingrins, historic structure and property of the Société des Bains de Mer. With its renovation, scheduled until 2016 by the architectural agency AFFINE DESIGN, the hotel’s configuration itself will stimulate the new urban schema that is emerging around it. Indeed, the Société des Bains de Mer, contractor, is committed to the redevelopment of the centre of Monaco to bring it, in majesty, into the twenty-first century. Facing the former Sporting d’Hiver – which will house a luxury complex under the signature of Richard Rogers – the Hôtel de Paris will be transformed in a subtle manner to ensure the architectural consistency of this urban complex. 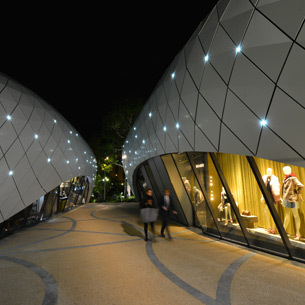 The aim of this redevelopment has required an approach sensitive to the site. 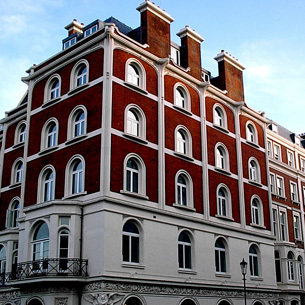 Built in 1864, the Hôtel de Paris was particular in that it was successively revised in 1878, 1910 and 1950. Of these four periods, it has been important to identify those that contributed to the image of the palace and to grasp their critical elements. 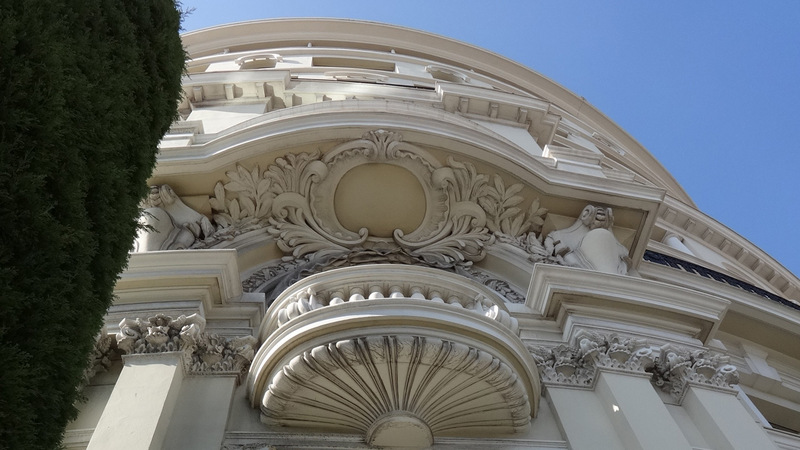 Noting that neither the original vestiges, insignificant, nor the enlargements of the 1950s, bulky, were compatible with a contemporary project, AFFINE DESIGN has decided to concentrate on the preservation of the elements built in 1910, those that established the identity of the place: for example, the main entrance, the hall, the Empire hall and the first levels of the Rotunda, save its elevation which will be demolished and rebuilt in a contemporary style, more faithful to the spirit of the original. The driving idea behind the renovation of the Hôtel de Paris is to integrate it into the urban landscape, to whose reconceived flow it will contribute. 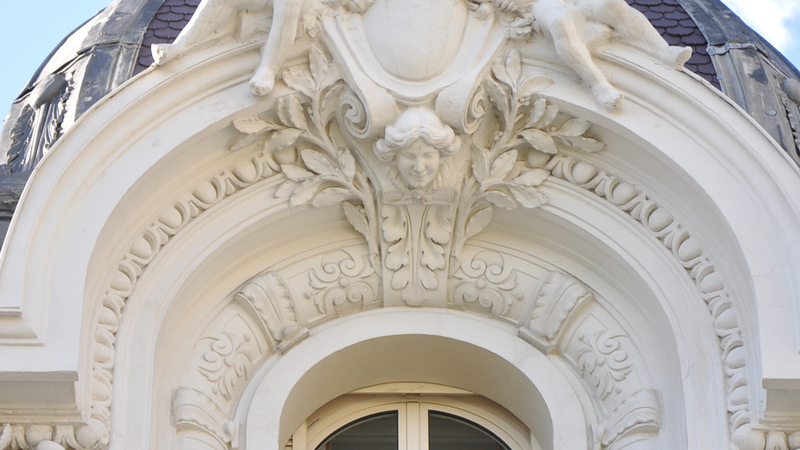 The palace is located right between the famous Hermitage Hotel, faithfully restored, and the future real estate complex of the Sporting d’Hiver, two opposing partitions that separate the avenue de la Princesse Alice. To avoid any brutal radicalism or, worse, the forced mixing of styles, Richard Martinet has preferred to play the card of architectural porosity. Thus, the first classical levels of the Hôtel de Paris will preserve their original identity to protect the coherence of the project, but, gradually, a style more refined and conceptual will begin to emerge in the upwards flow of the facade from the third level. Moving gradually upwards, this residual architectural memory, seeming “to escape from above”, will find its resonance in the two horizontal glass lines underlining the final floors. This exterior formal poetry will find its exact replica in the interior design and continue onto the terraces, the apex of the palace; two major contemporary villas will be located there, in addition to a relaxation area (spa and pool). 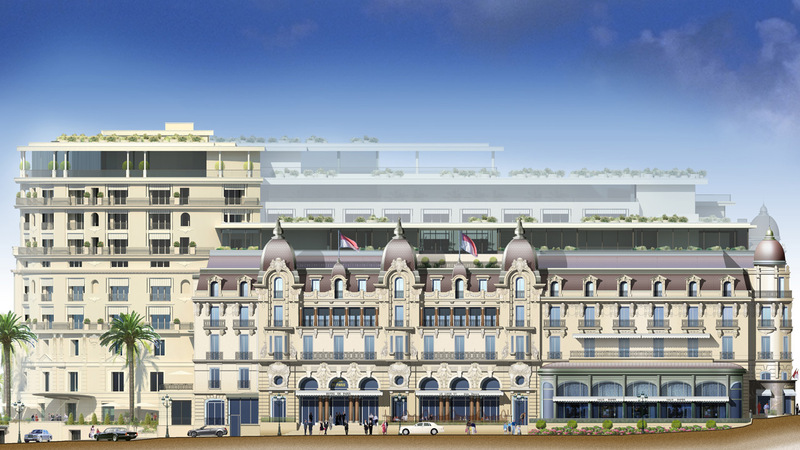 This terrace, inhabited and perched on high, with views of the Mediterranean, will contribute to the renaissance of the Hôtel de Paris, urban palace dedicated to leisure resorts, the vocation of the group Société des Bains de Mer de Monaco. Of the configuration of the Hôtel de Paris itself, it cannot but be said that it preserves the intimate dimension necessary to its customers while it adapts to the new urban scale of the heart of Monaco. This balancing act is reflected in the creation of an interior courtyard which opens directly onto the city, inviting in the great light of the Mediterranean. This outdoor lounge allows one to relax in the fresh air and to have direct access to the square of jewellers located on the ground floor. 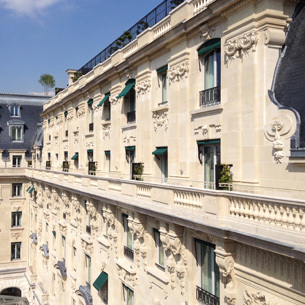 The Hôtel de Paris, so redesigned, asserts itself as a new articulation of urban circulation. It respects, in this sense, the tradition of urban Palaces, open to the city; a meeting place, but one whose heart is highly protected.